Our holding company is fully licensed to operate a real estate business. The CEO and officer in charge, Philippe Brach, also holds a full licence in his own name. 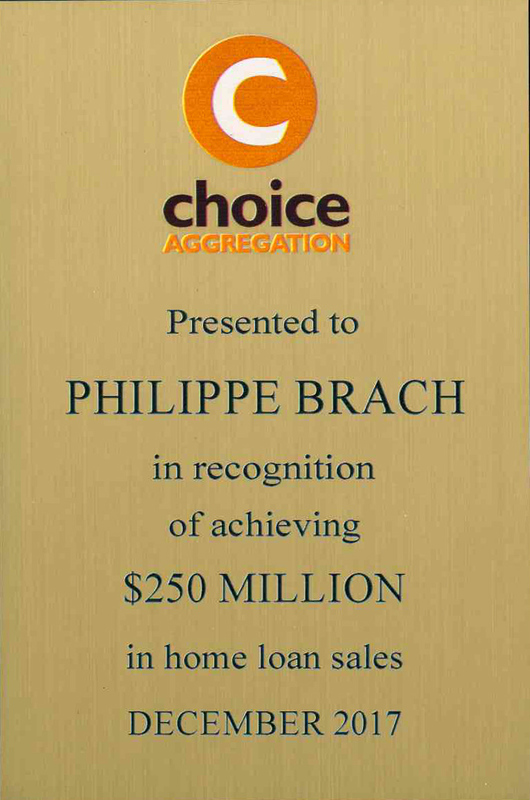 Awarded to our CEO, Philippe Brach, which demonstrates his high level of commitment to quality delivery of loan products. The MFAA is the acknowledged authority in the mortgage and finance industry. As a long term member of the MFAA, our company complies with the strict code of practice which sets high standards of professionalism and integrity. Congratulations on being a valued member of the MFAA for at least 10 years. The MFAA has been an integral part of the growth and development of the mortgage and finance industry since its inception in Australia more than 30 years ago. As one of our long-serving members, you have helped shape the association into its current position as the peak national industry body. The MFAA is now formally recognising members who have reached key milestones in order to highlight your commitment to our organisation and its mission. As a member you are part of a process of belonging that provides credibility, visibility, authority, unity and opportunity. We acknowledge the wide breadth of skills and knowledge that our more experienced members bring to the association, and to the field as a whole. The mortgage and finance industry can benefit greatly from the input of established professionals like you. At our annual conference it was great to catch up with so many of our colleagues and friends from around the country. We were delighted to be awarded the 2017 Broker of the Year for the most amount of loans settled throughout the year. This award reflects the experience of our finance department, the dedication we have to finding the best loan options for our clients and our very successful referral program. We look forward to serving our clients in 2018 and beyond, sourcing the best loan products to suit their individual needs. We are proud to announce the recognition by Choice Aggregation in achieving $250 million in home loans by the end of 2017. We are delighted that our existing clients continue to return to refinance their loans as well as seeking finance for new property purchases, and that new clients are proving very happy with the professional service we provide. We continue to aim for 100% customer satisfaction and our loan writing department strive to source loans which suit the needs of each and every client. So if you are looking for a finance broker who puts you first, is accredited with over 30 different lenders and is recognised as being professional, efficient and experienced, contact us for all your loan related queries. Choice Aggregation 2015 Platinum Achiever Award. We are delighted to have been awarded Platinum Broker status for the second year in a row. It's a testament to our experience, our level of commitment to our clients and the professional service with which we pride ourselves. This recognition allows us to have access to services generally not available to all finance brokers, as well as faster processing of our applications. Great achievement as we benefit from increased attention from the lender. This status allows us to have access to dedicated services which allows for a smoother experience for the client and broker alike. This recognition allows us numerous benefits such as a dedicated relation manager and some exclusive access to services. We are a long time member of the Credit & Investment Ombudsman (CIO). They provide a free, independent and impartial dispute resolution service for credit related disputes. We are accredited with over 30 lenders including all major ones. This gives us a large choice of options for our clients and allows us to find lending solutions for the widest range of clients.